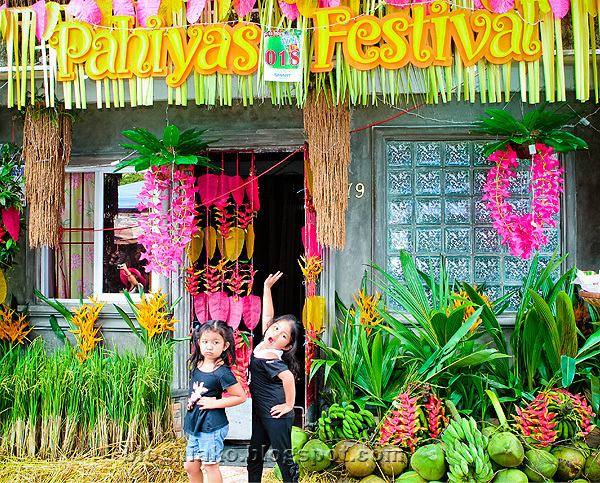 Pahiyas festival is celebrated every 15th of May in honor of San Isidro Labrador, the Patron Saint of farmers. 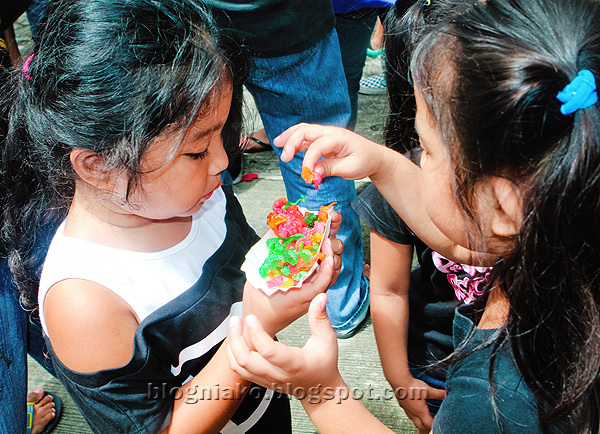 The celebration is a form of thanksgiving by the locals for a bountiful harvest. 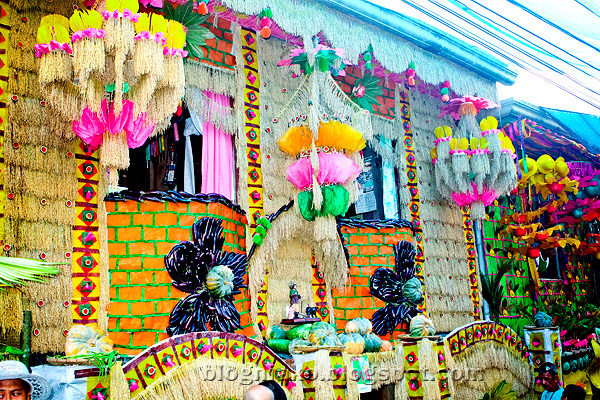 Houses are beautifully adorned with local’s bountiful farm produce such as fruits, vegetables, grains and the likes. But best of all, residents make vibrant colors of kipings to decorate their houses. Kipings are leaf shaped wafers made from rice flour gracefully arranged to create beautiful designs. 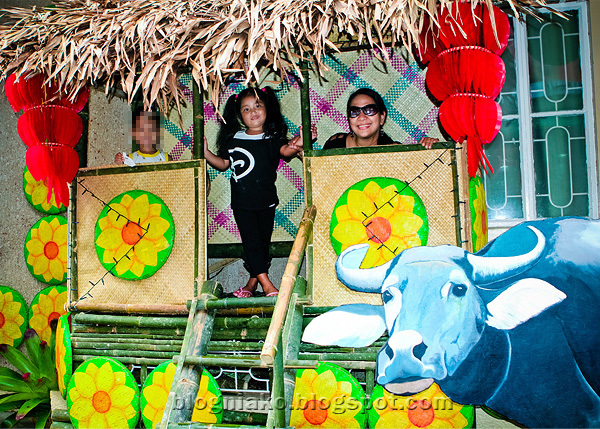 Grand prize winner for the best decorated house gets Php100,000! We arrived at my cousin’s house at 6:20 AM. She and her hubby were still preparing food for our breakfast so we decided to go outside to check out the houses first. 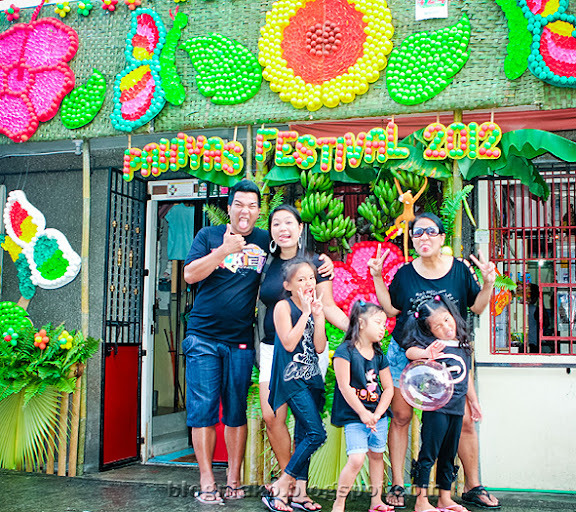 It is best to go to the festival as early as you can to avoid flocks of people attending the festival.The streets get busy and overly crowded in the afternoon that it would be hard to take pictures of you in front of the colorful houses. We were not able to check out all the participating houses for the competion since light rain showers started to pour in. We just decided to go back to my cousin’s house so we can have breakfast. 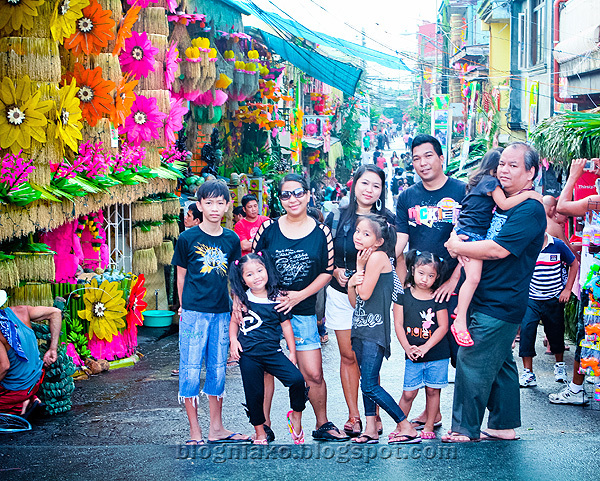 At 10am, it became apparent that massive crowds started to build up and we got lazy to explore other streets since it would be difficult with 5 kids in tow. After purchasing some pasalubong and souvenirs, we just went back to the resort where we were staying. We all wore black for a nice contrast against the colorful background. Grilled Kipings. (P8) They were a bit salty. Deep fried kipings. 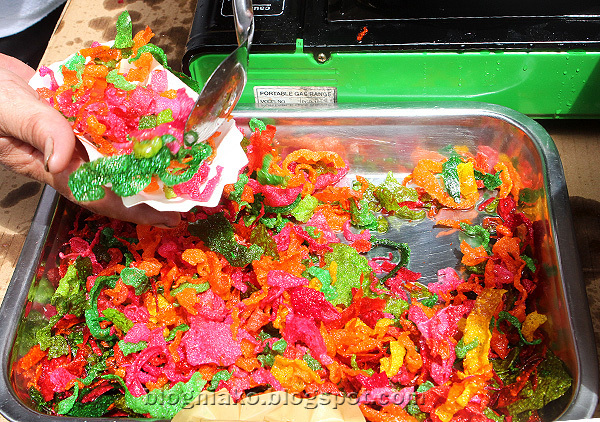 (P10) The kids loved this coz they were sweet and crunchy! Breakfast my cousin and her hubby prepared for us. 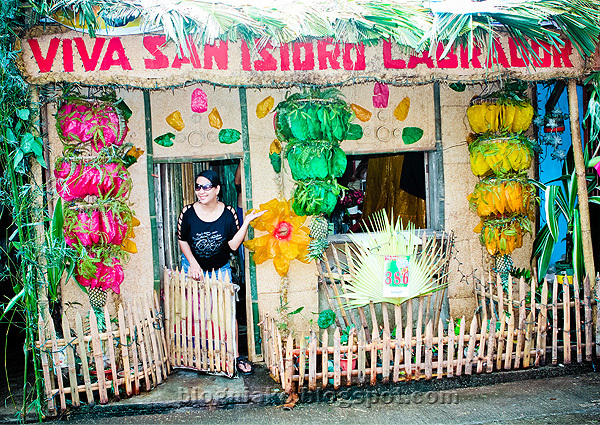 Lucban longganisa is the best! Thank you to my cousin for welcoming us to their humble abode! awww.. you were there! i'm so inggit. super nice photos (as always)! I didn't know the kipings were edible. And with all the decorations, it seems like another version of Christmas..
gusto ko rin matry yan, kaso wala ko kakilala sa quezon. hehe! as in every may 15 talaga? exact date? aww! been wanting to experience this! ang gaganda ng mga bahay at ang gagaling ng mga pinoy magdecorate 🙂 didn't know kinakain pala ang kipings hahah pahingi naman! Galing ng idea nyo to all wear black 😉 Lagi talaga kayong color coordinated na family ano? Really nice photos! I was supposed to go there too, but it didn't push through. Anyway, I hope you enjoyed your stay at Quezon! Yay! Buti pa kyo well coordinated pagdating sa damit. Kami hindi. Kasi si Khan, halos puro gray lng ang damit na pang alis. hihihi. oh my goodness! It looks so fun! what a colorful and beautiful celebration. I would love to be there!!! Ooooo…so very colourful! So nice… Wish I were there too. 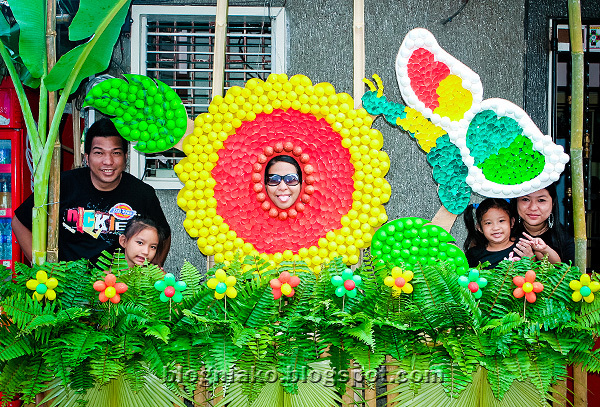 Grabe super colorful ang mga pics ang ganda! hi sis, oo nga naging endorser c andi ng the ramp kaso la na sya ngaun, sayang nakita ko sana sya sa show. 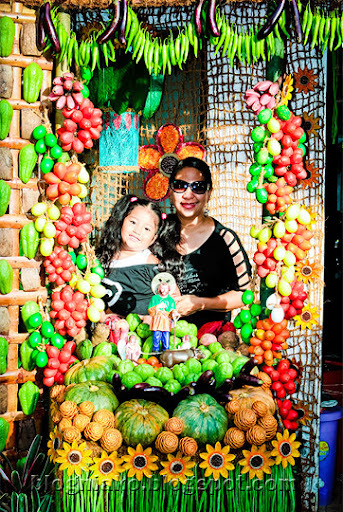 I love it, very colourful sya…ang cute talaga ng pamangkin mo.Ready talaga sya pag camera…she's so sweet. it felt like i was there. lol. andami nilang gala ansarap naman at napadpad naman sa pahiyas! ito yung gusto kong mapuntahan talaga!! Wahehehe. 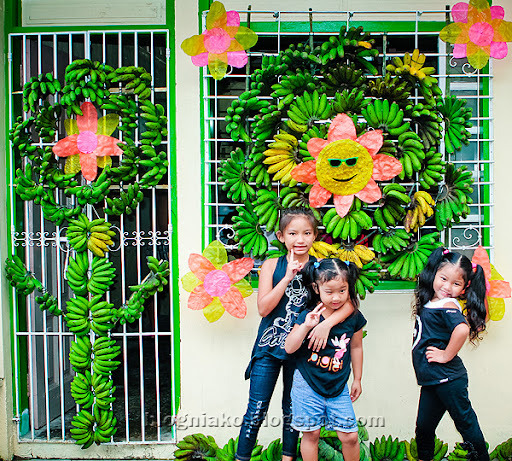 Ang cute ng pic na nasa gitna ka ng flower. What a festive post Anney. I love that you all coordinated in black. It really shows in the stunning pictures. 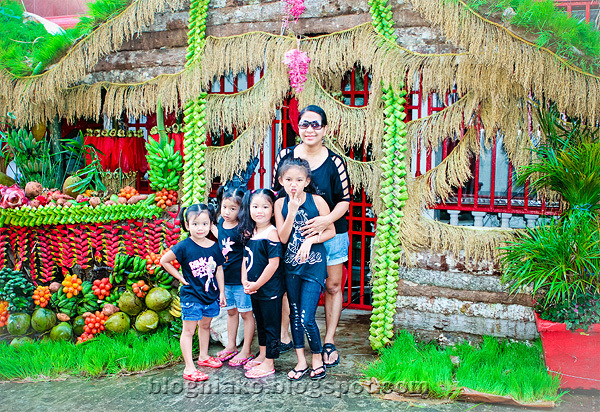 Your family looks like they are having so much fun and I loved learning about the holiday. So beautiful and colourful. The food looks so delicious too. That is some special breakfast! ang gaganda ng pics! at mukhang ang sarap ng breakfast na hinanda para sa inyo! I love Lucban's longganisa and kesong puti! yum!!!! I love festivals! Although I only attended one (Ati-Atihan). Looking at your photos brings back the thrill of being a part of one. 🙂 Great! Waaaah! Bigla ko tuloy naalala na ang tagal tagal na ng panahon since na huli akong pumunta sa Pahiyas. Nakaka-miss din. Next year sana makapunta ako. Beautiful and colourful photos sis. Ang saya. 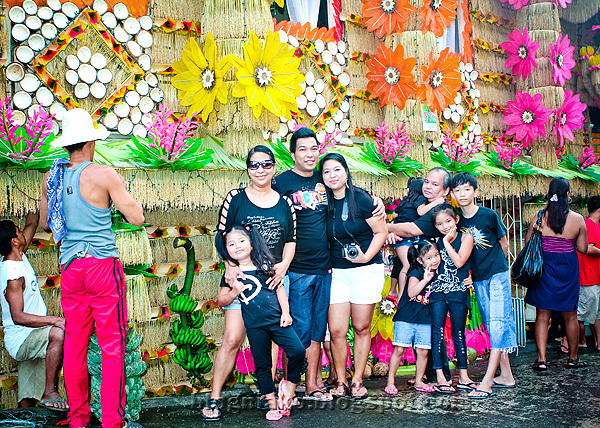 Wish ko talagang makapunta sa Pahiyas festival… some day. For now, super thanks for taking us there! 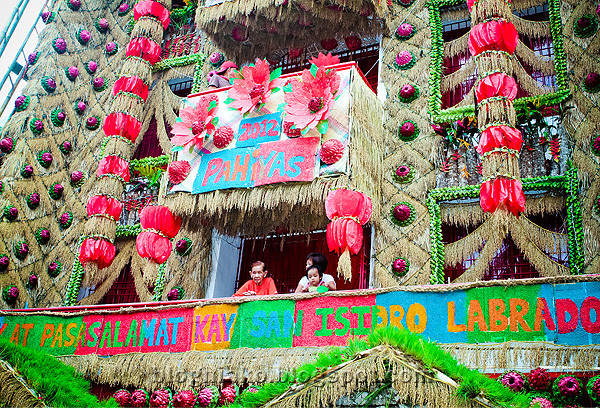 very festive ang colors! nice photos! 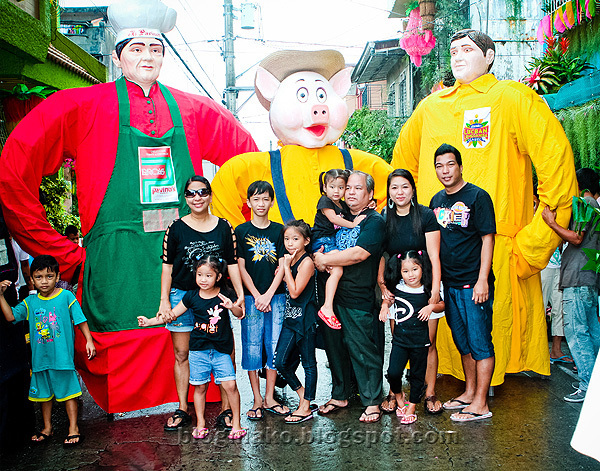 I wanna go there someday and nakaka gutom yun mga food, super sarap nyan for sure! Beautiful pics hun! nakakatuwa naman kayo..terno lagi ng outfit! seems like its so so so fun.. 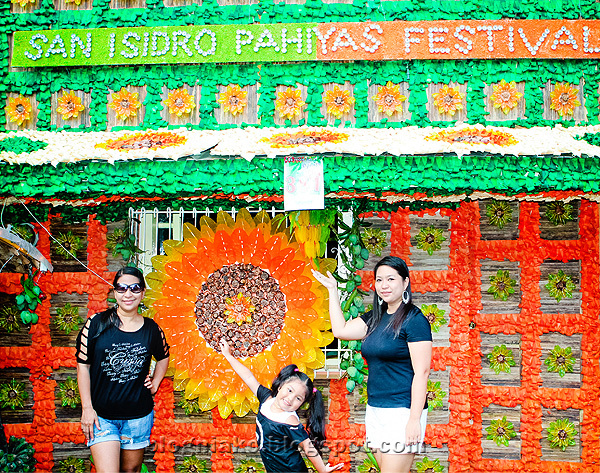 I havent been on any festivals though but been wanting to witness one coz of the street dances and colorful designs.. 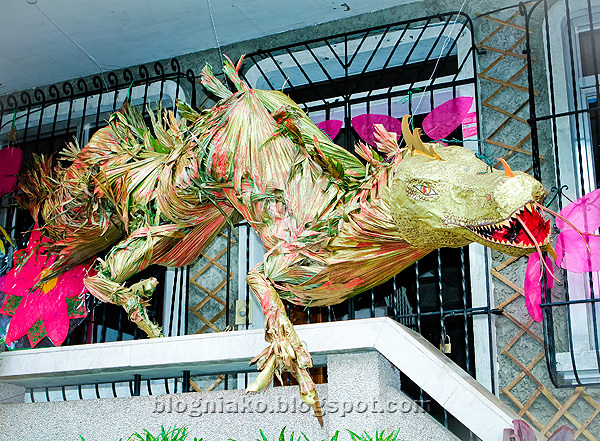 Very interesting creations, photos with beautiful colors. 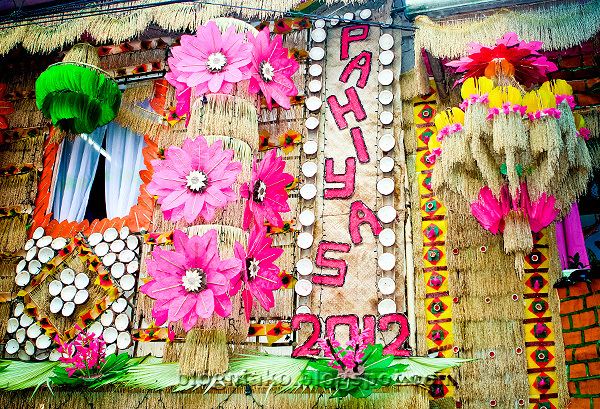 1st time heard of Pahiyas festival! 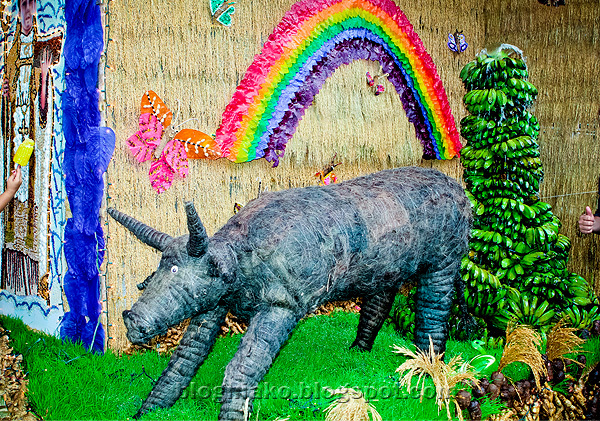 Perhaps one day I shld drop by for the festival, it's impressively colorful. Love all the decor, it's beautiful! Thanks for sharing! 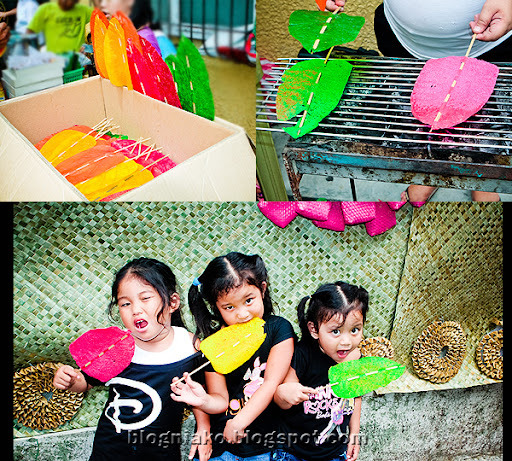 Wonderful shots, very colorful event. Ah, so beautiful. this post gave me a happy feeling. glad the kids were there to enjoy all the colors. really lucky nieces you have there, to be able to travel to wonderful places at such an early age. i love all your posts anney! 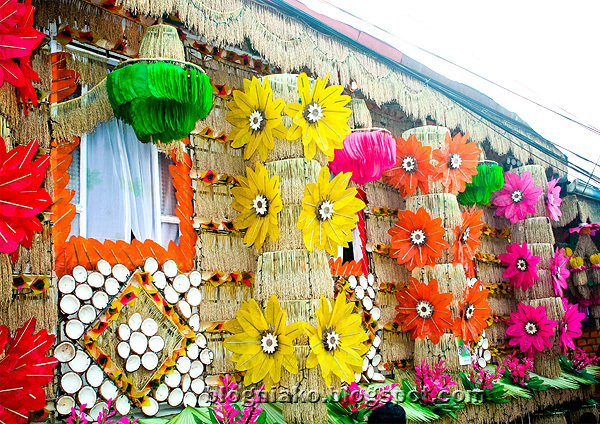 Beautiful decorations, so colorful! It looks like you all had a good time! The festival look so fun and colroful 🙂 beautiful pictures too 🙂 You guys looks so cute in the shirts 🙂 Everybody is wearing the same color, which is adorable 🙂 Dropping by from Color Connection. ang ganda! sana makapunta din ako sa ganyan..hirap kasi kung may maliit pa na bitbit. lol. ganda ulit ng shots! 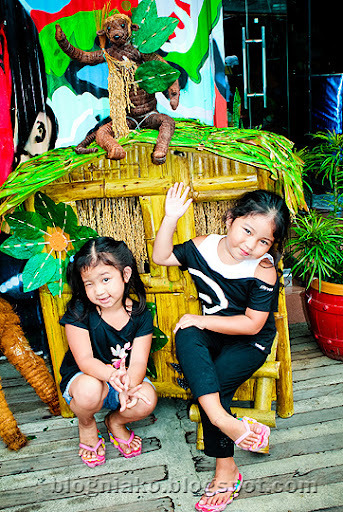 enjoy na enjoy talaga ang summer! nakakain pala ung kiping? ok ah! Wow, this is definitely a colorful post. Love the pictures. How absolutely amazing! Your photographs are so beautiful! What a colorful post. Looks like a wonderful way to spend a day. Lots to see and eat. What could be better.